Life on the road is absolutely exhilarating. But you can’t always be trotting from country to country eternally. You eventually have to go back home to recharge the battery and you soon fall back into routine. You feel trapped in normality and daydream of your next destination. But until you set sails and explore the whole wide world again, you have to remember that you also live in a place that is worth discovering and spending time in. As my home base, I chose Whistler, a Canadian resort town located in the southern Pacific Ranges of the Coast Mountains of British Columbia. Living here is an outdoor lovers’ dream. Not only is Whistler known as one of the best skiiing destinations in the world, but it also offers many great lakes to fish, challenging mountains to hike, stunning waterfalls to photograph, wilderness grounds to camp, trails to run, hike and bike. The senses are pleased everyday with nature and it is a place of endless adventures. 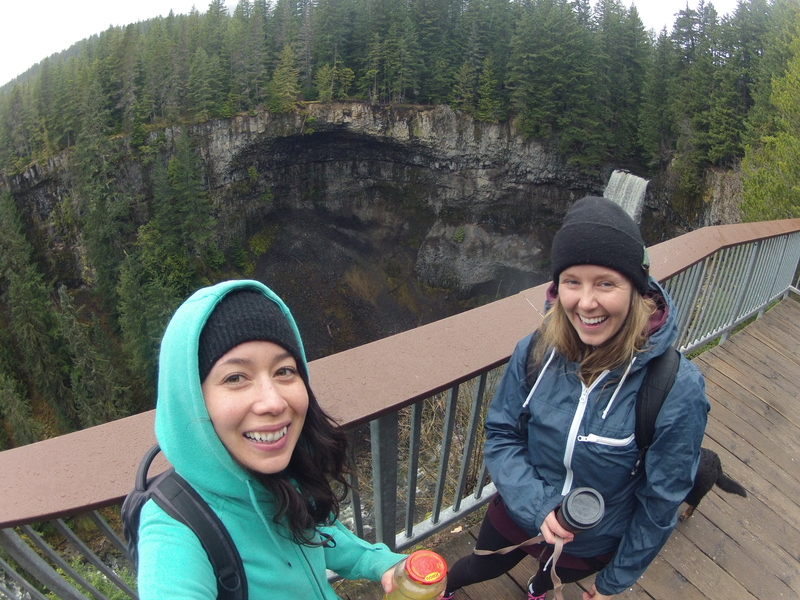 This Sunday, my friend Cori and I planned a leisure walk to Brandywine Falls. 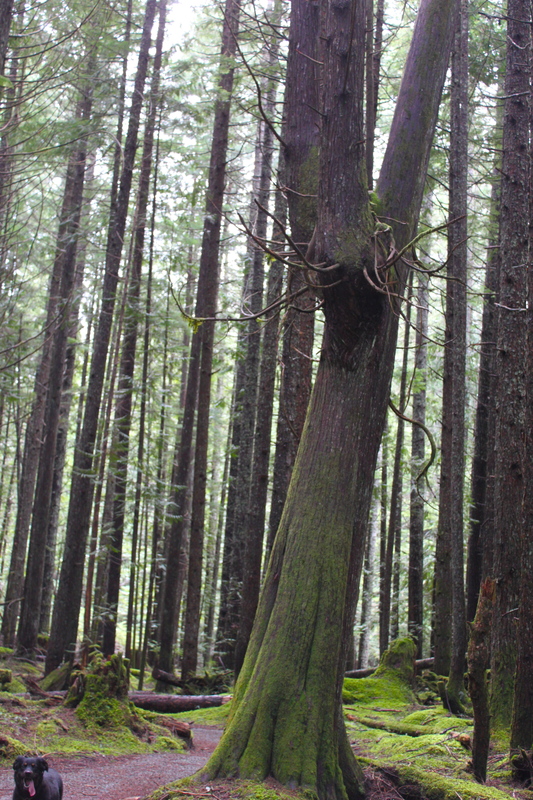 This provincial park is situated south of Whistler in the Sea-to-Sky Corridor. There is access to the waterfalls from the parking lot, involving an easy and short walk. But ‘easy’ isn’t how we like to spend our Sundays, so we decided to begin our excursion in Whistler and walk the Sea-to-Sky Trail, just to spice things up a notch. 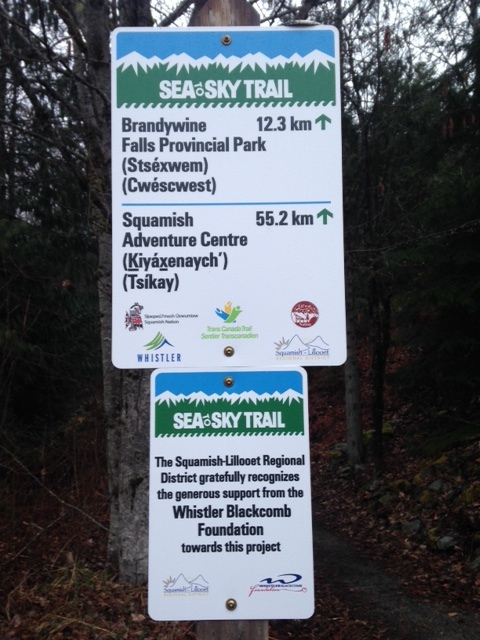 The Sea-to-Sky Trail is a 180km wide dirt and gravel trail starting in Squamish and stretching all the way up to D’Arcy. 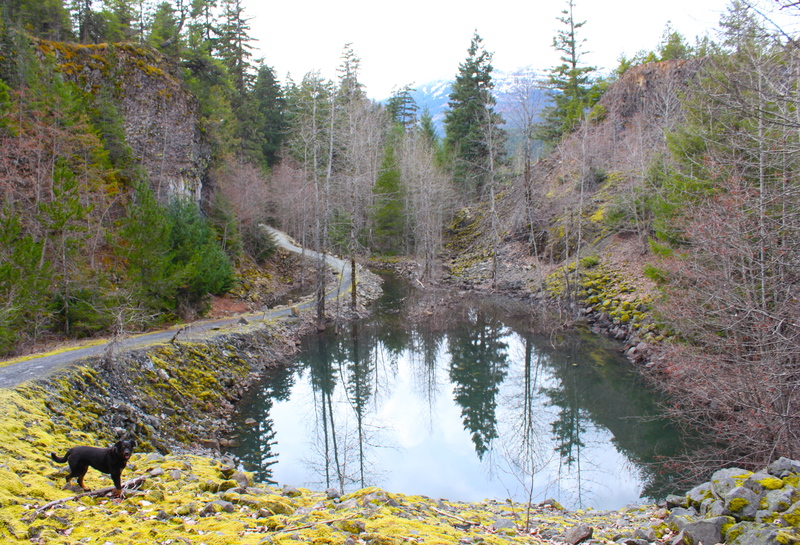 It is great for biking and hiking, and offers scenic sights all along the way. 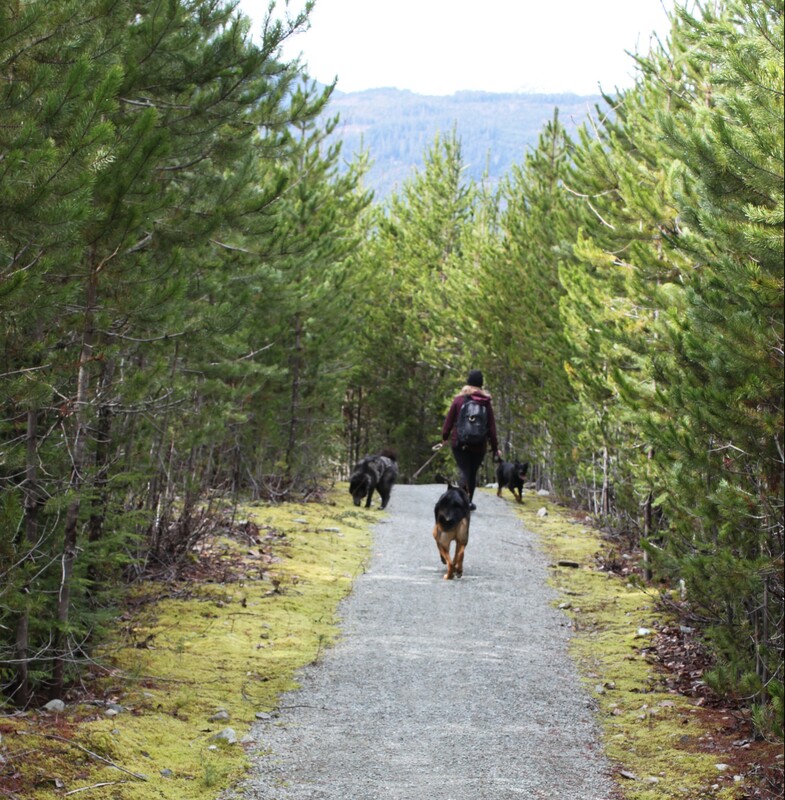 We parked in the southern portion of Whistler, Function Junction, and accessed the trail from the road. Along with our 4 furry canine companions, we began our excursion. The sun filtered its soft light through the massive Douglas-Firs and Western Red Cedars and glittered with dew resting on their branches. We embraced the essence of nature as we meandered through the beautiful coastal forest. 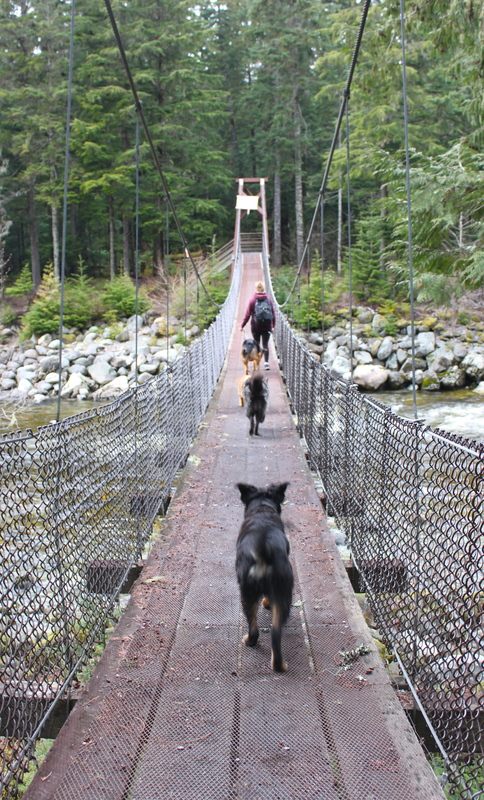 We crossed a couple of suspended bridges overlapping the Cheakamus River. We watched the crashing water flowing aggressively underneath our feet. 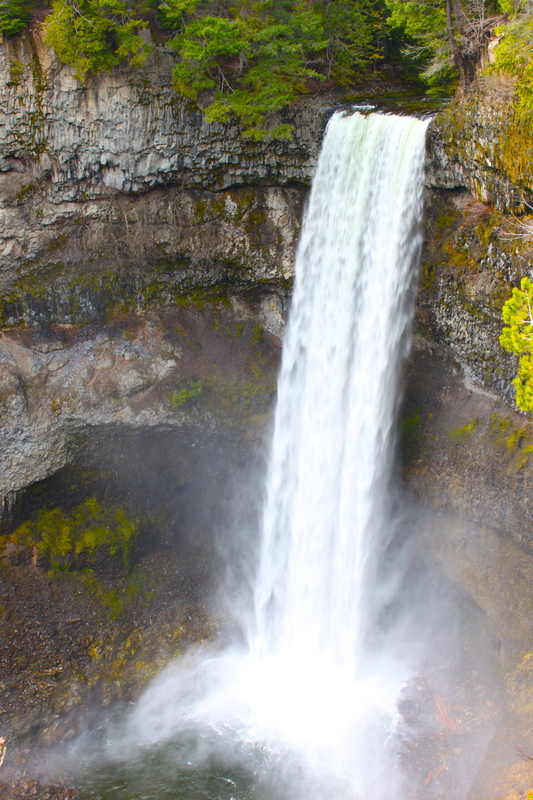 As we approached our destination, strolling through a pine forest and lava beds, we could hear the roaring sounds of the water amplifying. When we arrived to the platform viewpoint, we admired the 66m waterfall thundering down the valley below. We cracked our bottle of bubbles and contemplated the water gushing from the abrupt cliff and the impressive gorge holding such a spectacle. As the rain peaked out of the clouds and cooled off our heating bodies, we packed our bags and headed back. 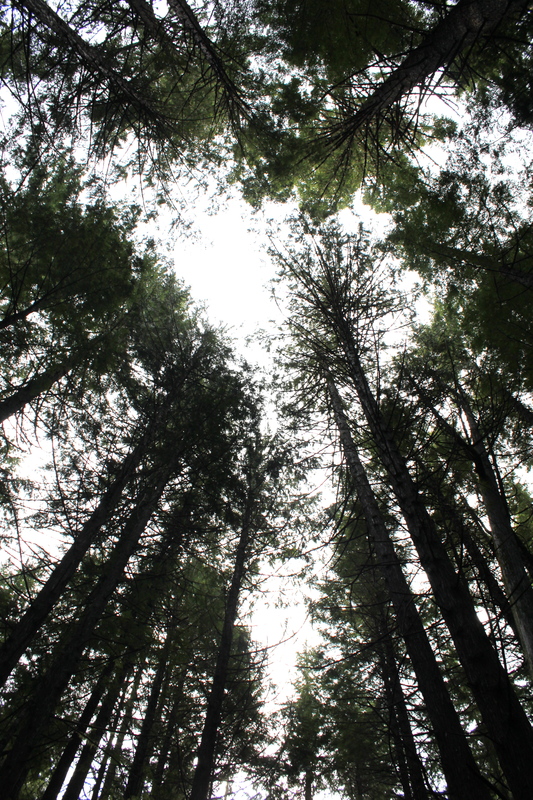 We were sheltered by the thick trees standing strong and high and we ascended the winding trail. Our legs were burning and our conversations fading. Everytime we slowed the pace, all dogs rested in the moss, tongue out and reaching for air. We arrived at the car at dusk, soaked and muddy, with the greatest smile of satisfaction. Our leisure walk ended up being a 25km adventure hike. This excursion reminded me how fortunate I am to be living in a place of such natural beauties. You don’t always need to fly to satisfy your wanderlust. Whether you live in a city, on a coastal town or in the mountains, your home has hidden gems ready to be discovered. You can apply the spirit of travel at home, by simply being mindful and aware of what is around you. Open yourself to your surroundings, be curious, and have an adventurous mind. By appreciating the little things, and embracing the challenges, you become part of the beauty. And that’s the most wonderful adventure of all!